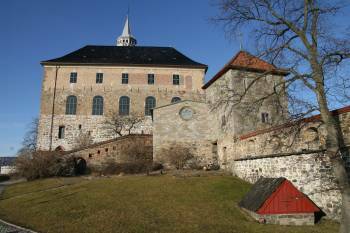 Towering high above Oslo harbor, one of the oldest remaining buildings in the city is located: Akershus Festning. 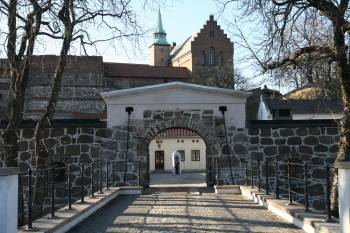 According to historical documents, the construction of the inner castle started in the late 1200s by King Haakon V Magnusson. In the beginning, the fortress was mainly used by the King and his representatives. Later on in the 1600’s, a bastion was added to prevent military attacks. Several attempts of conquering the fortress was made, but never succeeded. 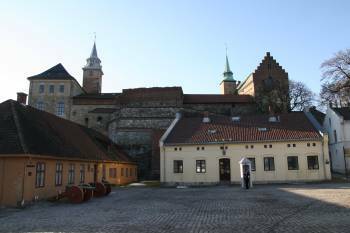 During the Second World War, Akershus Festning was used as a prison and it was also a central arena for the following trials after the German occupation. The Norwegian Defense Department is now located in and around the fortress. 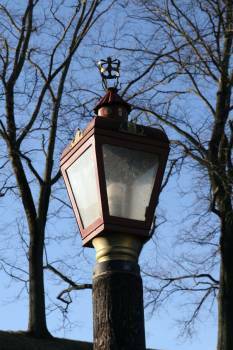 Today, there are no other signs of these historical events other than monuments, mystical iron doors, the King’s Guards and the lovely view of Oslo and the Oslo Fjord. 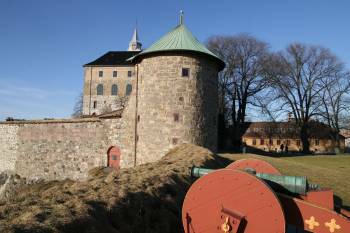 The old canons surrounding the castle are still used to salute special occasions, such as Norway’s National Day on May 17. The ‘Home Front Museum’ is located inside the bastion. The fortress contains a public museum, a chapel and also the remainings of royal family members in their own sarcophaguses. The castle itself is often used for royal festivities. 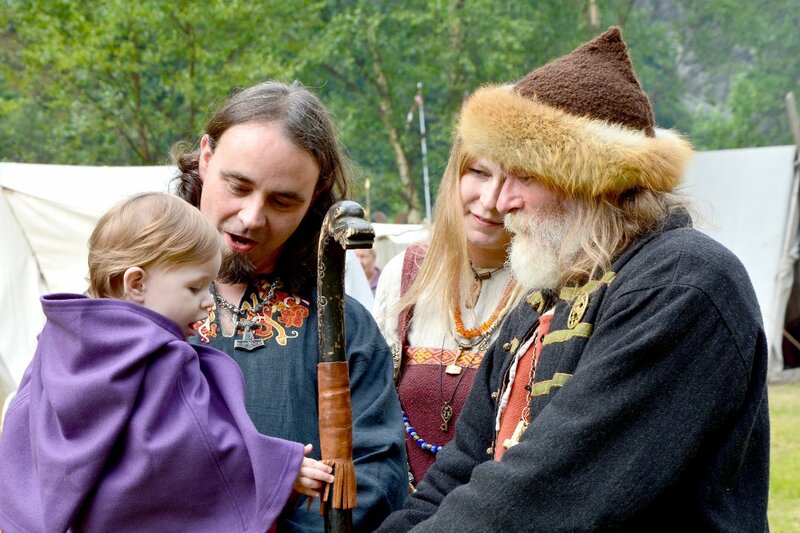 Akershus Festning is one of Oslo’s most visited attractions due to great historical preservation of the entire area and the number of cultural events taking place inside these ancient walls.